My name is Enrico Argentin aka Rj. I'm 26 and I'm Italian, but now I'm living in London. At the age of 26, I am reaching the best gratifications and goals in the dance and entertainment ... moreworld in Italy and Europe. Now, my wish is to enter into the fitness world. After getting the bachelor's degree in Human Movement Sciences at University of Padua and the specialization in personal training, I've been working for many years in fitness centers and for private costumers. My wish is to be able to satisfy every costumer, bringing them to achieve their goals in fitness and wellness. Thanks to my studies and work experience, I acquired a lot of different skills and training methods. I am a very versatile and flexible person and I can create original and interesting training session. 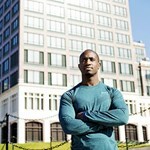 As a Personal Trainer Lawrence has worked with a wide range of clients since 2007. From leading actors/actresses preparing for film and television roles to individuals looking to achieve ... moretheir fitness and health ambitions...Lawrence has 10 years of coaching experience for you to draw upon. Training with Lawrence combines regular face-to-face/online technical coaching with ongoing lifestyle and self management advice. Often this incorporates nutrition and wellbeing guidance to amplify results. Everyone is unique and Lawrence's methods seek to unlock your personal potential. Previously, Lawrence enjoyed a rugby career in which he played with and against some of the top internationals and British Lions of today. In addition to Personal Training Lawrence founded the successful fitness blog www.FaFitSake.com ...check it out on Instagram & Twitter. 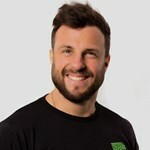 Hi, My name is Bill and I am a Personal Trainer and Strength and Conditioning Coach. I also have expertise in body transformations. I have been passionate about health and fitness ... moreall my life - playing many sports, including Hurling at County level. This passion is now my career. 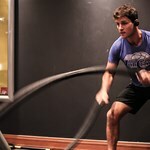 My training focus is to help you reach your health, fitness and/or sports goal. I'll give you nutritional advice and encourage you every step of the way, pushing you to your limit and often beyond. I promise to motivate you but will also hold you accountable for the results you want to achieve. With our combined determination and desire, we can achieve great results in great time! I have many years experience in fitness and personal training. I am a REPS Level 3 Personal Trainer with a qualification in exercise to music, and I specialise in suspension and strength ... moretraining, weight loss and nutrition. I have been Personal Training for six years and I’ve worked with a variety of fitness goals during this time. Whether you want to transform your body, improve your strength, recover ... morefrom an injury or get rid of your mummy tummy, I can help you reach your goals. I have a degree in Fitness and Personal Training and that has given me a broad spectrum of teaching styles to apply to all types of training. I work with you to structure your nutrition to support your exercise, there are no faddy diets! I believe that you should enjoy food and this is clear in my coaching. It is also important to enjoy your training, and with personal training it is tailored directly to you. I like to be challenged in my own training, and I have recently completed my first Tough Mudder. I will also be taking part in my first Physique contest this year, and my own training is centred around body transformation. I believe in a tailored and enjoyable workout, an effective training working towards your goals, having encouragement and motivation all the way through. I have successful experiences ... morehelping people losing weight, getting fitter and healthier, preparing to join group classes, managing stress and emotions, improving flexibility and sport performance using Fitness, Nutrition, Yoga and Meditation. I love to inspire people and help them find their own way to keep inspired and motivated all day long. Someone said to me: "Because of you, I didn't give up, and my self esteem and confidence are back". This is so inspiring to me!. Let your goals be my goals and Let's workout and fell great! 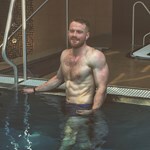 I am an experienced personal trainer, studied at Leeds University where I gained a BSc in Physiology and a level 3 personal training qualification. Having worked as an Exercise Physiologist, ... moreI have a holistic approach to health and fitness. I work with my clients to improve their stress levels, diet and overall lifestyle in order to achieve long term results. From the very first day my aim will be to empower you with the knowledge and tools needed to help you achieve your target, leaving you feeling and looking fantastic.